Pretty much as Mr. Moore predicted, there has been rapid growth in computing power, and at the same time data storage capacity. The original “standard capacity” SDSC cards had a max capacity of 2GB. These were supersceeded by the “high capacity” SDHC cards that ranged from 4GB to 32GB. And now we enter the era of the “extended capacity” SDXC cards ranging from 32GB to 2TB. 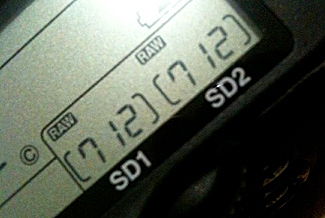 One of the recent firmware updates to the Pentax 645D camera was to allow the use of SDXC cards. I currently use two 32GB SDHC cards in my camera, and write the data to both cards simultaneously. I needed to get an extra set of cards so thought I’d try a pair of the SDXCs. 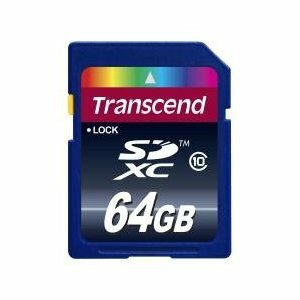 A Transcend SDXC 64GB card is about 90 dollars on Amazon.com , 7500 yen on Amazon Japan and a cringeworthy 66 pounds on Amazon UK . As with all tech equipment you can be happy that by waiting you didn’t have to pay the $150 List Price. However, in six months to a year prices will have surely dropped, if not halved, again. With the 32GB card I could store 355 RAW files from the 645D. With the 62GB card I get 712. Not sure where the space for the two bonus photos appeared from, but I’ll happily take them. You never know, shot 711 and 712 may be when the magic happens.